But sometimes a book loses its fascination and ends up at a flea market or at the back of your bookshelf, never be opened again. Why not breathe life back into those books again and fill them with your own stories? You can alter them in a way that these treasures bring unique joy back. 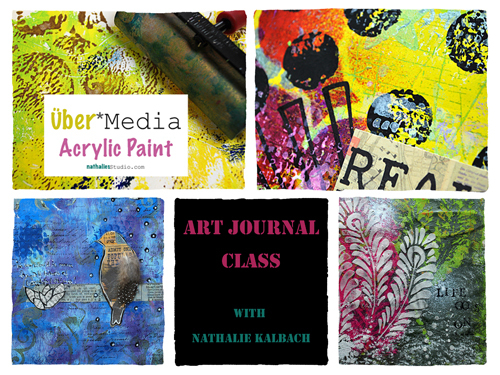 Nathalie Kalbach will show you how to create either a funky or a simple style altered book. You will learn beautiful folding techniques, such as ways to create pockets for treasures or hidden messages that go along with your story. You will learn how to use adhesive in unexpected ways and learn fun embossing techniques. Accompanied by beautiful Prima paper, flowers and stamps, this book will be a personal keepsake or a special present to a loved one. What’s more, it can function not only as a mini album but also as a home decor item. 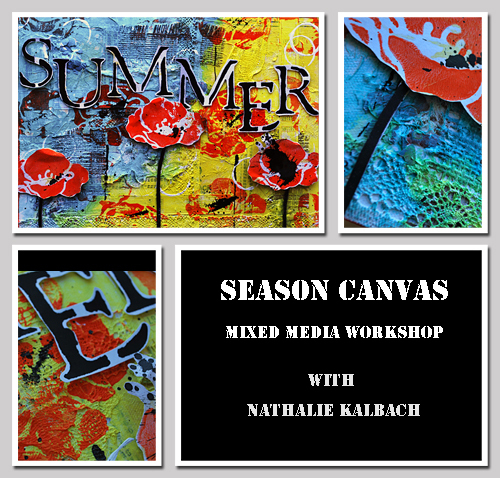 Come and join Nat in this three-and-a-half-hour long workshop. 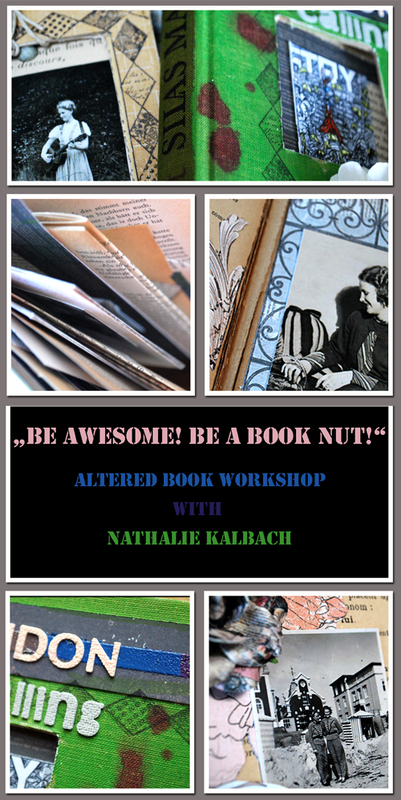 Be awesome and be a book nut!